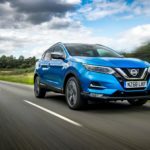 Nissan says the appeal of the Qashqai is now greater than ever, thanks to the launch of an upgraded 1.5-litre diesel engine. 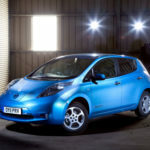 The enhanced 113 bhp unit offers drivers a 5 bhp increase in power over the 108 bhp of the previous generation. Torque remains the same at 192 ft lb, though the engine now features an all-new overboost function. This delivers an extra 5 bhp and 18 ft lb of torque for up to 15 seconds of driving. The Nissan Navara N-Guard is a new special version of the brand’s award-winning pickup, and it’s on sale now. Available as Double Cab with 2.3 dCi 187 bhp engine, the model is priced starting from £28,075.00 Basic Retail exc. VAT with the manual gearbox, and £29,525.00 Basic Retail exc. VAT for the automatic gearbox. The N-Guard special version has a contemporary design upgrade, plus extra standard equipment.